“Cure” is the third pillar of our mission. Making Headway funds life-saving medical research through a variety of strategies. We fund many specific research projects, but we also support innovative laboratories and staff positions that enable dozens of other studies and clinical trials. Making Headway supports innovative, life-saving medical research around the world by means of the NYU Pediatric Brain and Nervous System Tumor Research Registry and Tissue Bank. This center catalogs and stores sample tissue from thousands of children with brain or spinal cord tumors, which can be accessed by researchers from anywhere in the world. The tissue bank maintains centralized records of biospecimen assets, and serves as a standard platform across all disease management groups for consent and study records, storage, data capture, and retrieval. This platform meets standards for GLP, GCP and non-GLP materials and documentation, enabling rapid, accurate patient and disease queries for all future research studies. This catalogued information ensures greater accuracy in biospecimen availability, and facilitates their timely distribution for research. As researchers are positioned to greatly expand their molecular pathology capabilities over the next months and years and conduct comprehensive molecular studies, it becomes paramount to collect and maintain this invaluable information in a clinical database. Making Headway funds the role of Data Manager at the center and covers the cost of sharing samples. The program promotes research and collaboration and has already led to promising discoveries in the field of childhood brain and spinal cord tumors. 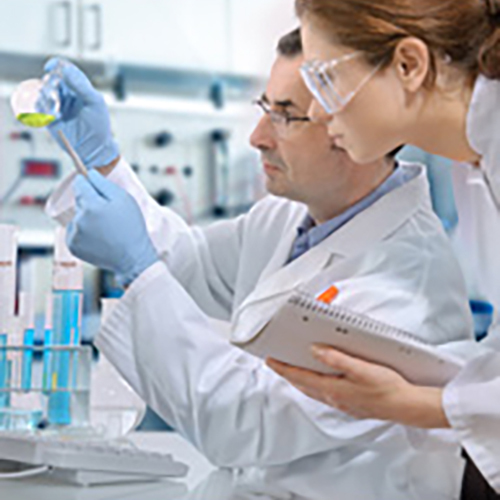 Clinical trials are an essential aspect of research, ensuring that a given medical strategy, treatment, or device is safe and effective for humans. Making Headway funds a Research Manager who has the specific role of organizing and managing these clinical trials at the Hassenfeld Children’s Center. 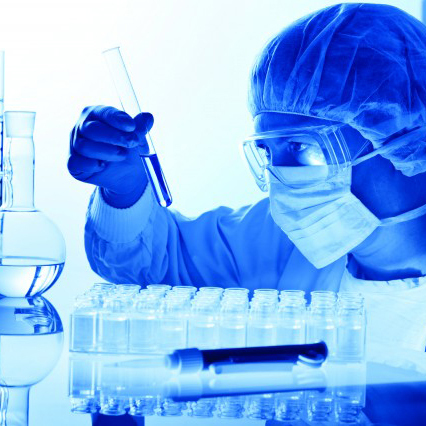 Every trial has the potential to uncover a new treatment or even a cure. New treatments and therapies are required to go through an increasingly complex clinical trials process, often over the course of many years, before they are approved. The Clinical Research Manager, funded by Making Headway, is responsible for the day-to-day operations of the Clinical Trials Office, implementing and overseeing clinical research programs, regulatory and data management, coordination of ongoing analysis, and managing large-scale clinical trials. Since this grant began, the Clinical Research Manager has overseen 35 active research projects that were devoted solely to pediatric brain or spinal cord tumors. Making Headway Foundation understands that in order for children to receive the highest quality medical services, doctors must be specially trained to understand the unique issues of pediatric brain and spinal cord tumor patients. Making Headway is helping to meet this need through the funding of our annual Pediatric Neuro-oncology Fellowship Program. Chosen from among the best doctors in the country, fellows evaluate and treat children with a broad range of brain or spinal cord tumors. They manage neurological complications of systemic cancer in children, assist in conducting clinical trials, and prepare for an academic leadership career in pediatric neuro-oncology. Now in its sixth year, the Making Headway Fellowship Program has been a great success; each fellow has moved forward with a robust career in pediatric neuro-oncology. With the tremendous activity of the Hassenfeld Children’s Center’s Clinical Trials Office, managing the patient-facing components of clinical trials is a growing challenge. Research nurses can be intimately involved in all aspects of clinical trials, from development and recruitment, to patient education and reporting. 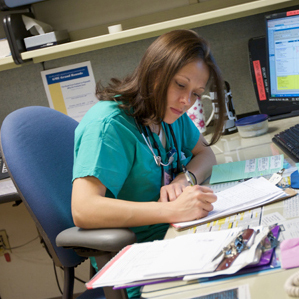 Funding through Making Headway, the newly created position of Clinical Trials Research Nurse will serve as the central point of contact for patients and families throughout their time enrolled in a trial, from their initial introduction to the study until they finish the trial. In this way, the research nurse position is an ideal complement to the clinical trial manager role. Recruiting patients for clinical trials and verifying eligibility. Educating families and patients about their options and study details. This includes providing information on timelines, procedures, drugs being used, anticipated side effects, and documenting symptoms. Guiding patients through the study consent process. Following patients recruited to a clinical trial or study through their treatment, making sure they attend all necessary visits as per protocol and that all necessary data is collected at each visit. Assessing patients’ health and reviewing adverse events or treatment toxicities. Research is well-established that children with oncological and neuro-oncological diseases frequently face a host of neurocognitive, academic, and socio-emotional challenges both during and after treatment. The Hassenfeld Neuropsychology Testing Program, funded by Making Headway, was created to evaluate and monitor children newly diagnosed with pediatric brain tumors. The newly developed protocol uses a battery of tests, based upon a comprehensive review of the most recent research in the field, to understand, identify, and document the effects of both disease and treatment. 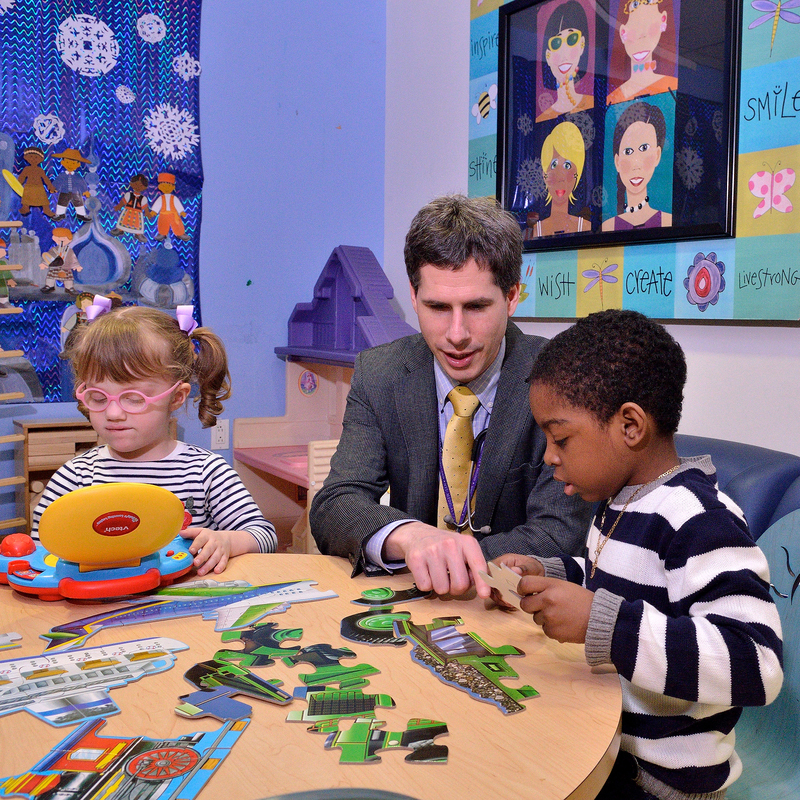 Each newly diagnosed, eligible patient at Hassenfeld Children’s Center is offered the opportunity to enroll in the program; evaluation results not only support research but also identify areas of concerns for the child and suggest appropriate interventions, such as educational supports and related services. In 2017, Making Headway helped fund two new CinemaVision A/V Systems for pediatric MRI patients at NYU Langone Medical Center. 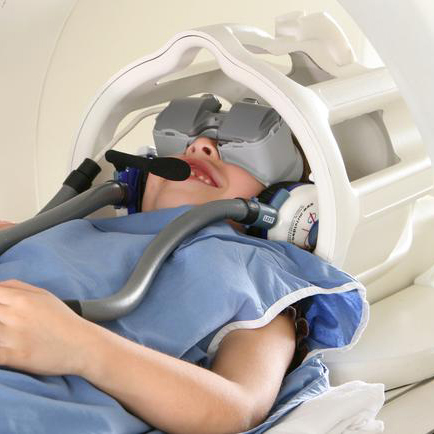 Now children can relax in a virtual comfort zone and enjoy favorite movies and musical entertainment during their MRI exams. Studies have shown that MRI entertainment can help soothe anxious patients, especially children, and minimize fear and anxiety.